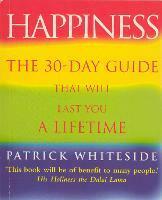 Thoughtful, warm, instructive, simple and wise, are all adjectives that can be applied to Patrick Whiteside's new book. 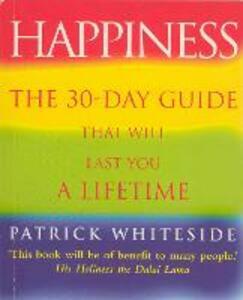 As the bestselling author of The Little Books of Happiness and Bliss, he has already shown that he has a deep understanding of how our minds work - and how we can lead happier lives. Here, in Happiness, he has written a full-length work on the subject and thus has much more scope to explain his understandings as well as the strategies that we can practise in this important and, not surprisingly, popular field. He explains that we can learn to relax with ourselves, be patient with whom we really are and, above all, feel full of joy most of the time!